Hilton Tianjin Eco-City successfully held a media press conference. 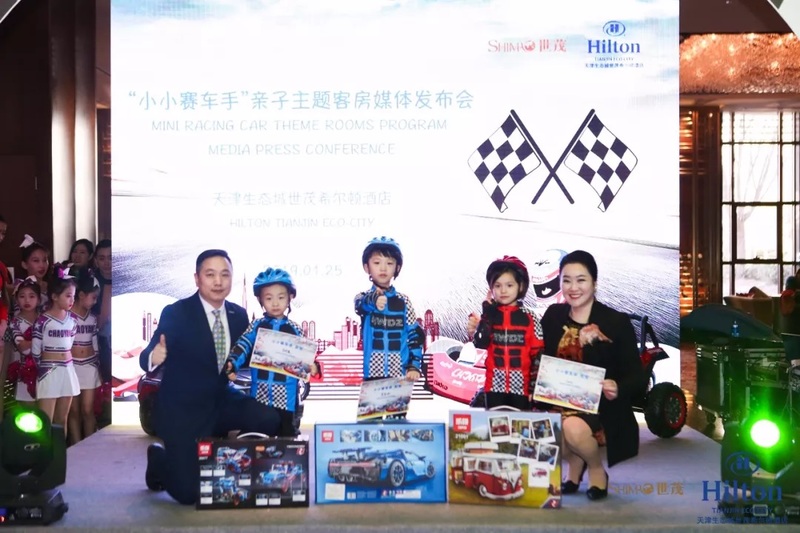 Ms. Ivy Liu, the Assistant President of Shimao Hotel Management Co., Ltd. and Mr. Anthony Zhou, the General Manager of Hilton Tianjin Eco-City, together they announce the launch of “Mini Racing Car” Theme Rooms Program. About 30 media organizations joined the press conference to witness the memorable moment. 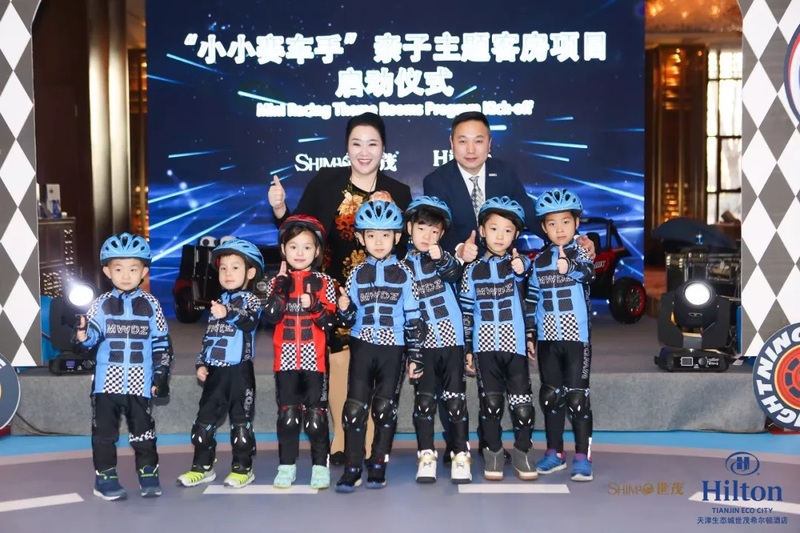 The atmosphere was promoted to a climax by the little racers. After the fun-filled friendly game, Ms. Ivy Liu and Mr. Anthony Zhou presented award and certificates to the little winners. 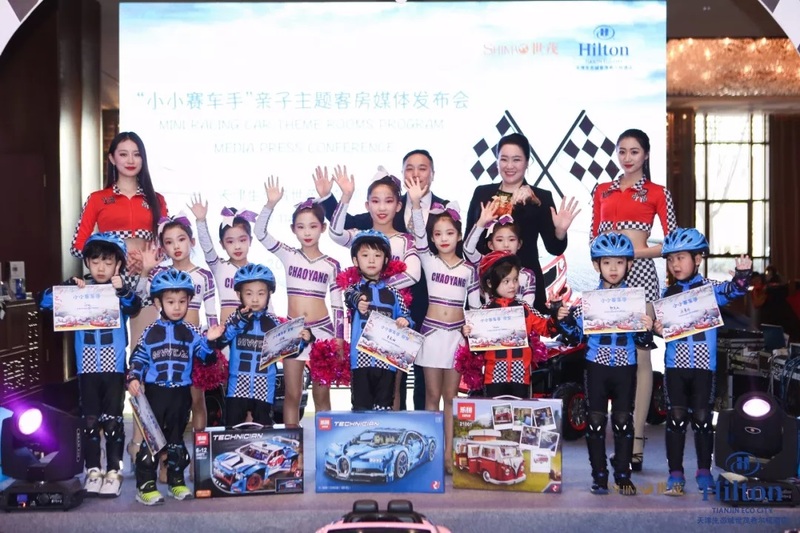 “Mini Racing Car” Theme Rooms Program was created by Shimao Hotel Management Co., Ltd and Hilton Tianjin Eco-City for the children under 6 years old. The themed rooms are located on the 5th floor, tower 6. 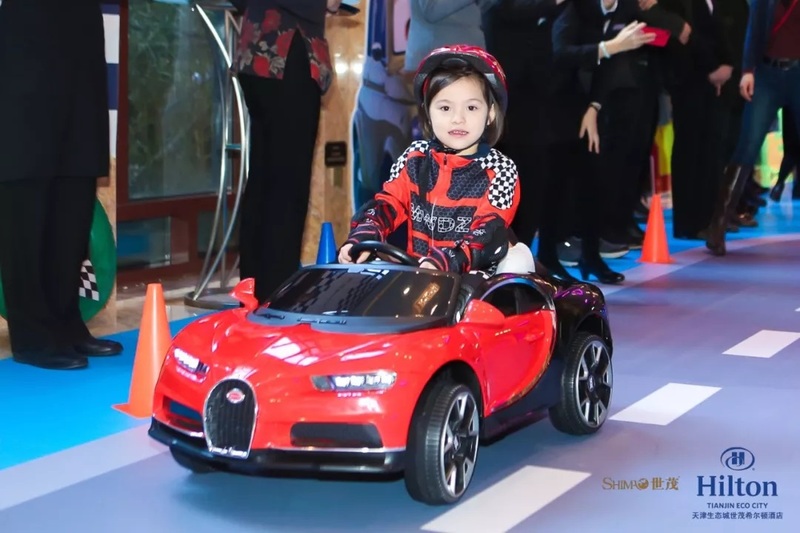 Including themed wallpaper, driving lane, traffic signs, mini racing car and parking spot. It’s a very enjoyable and educational experience for children. 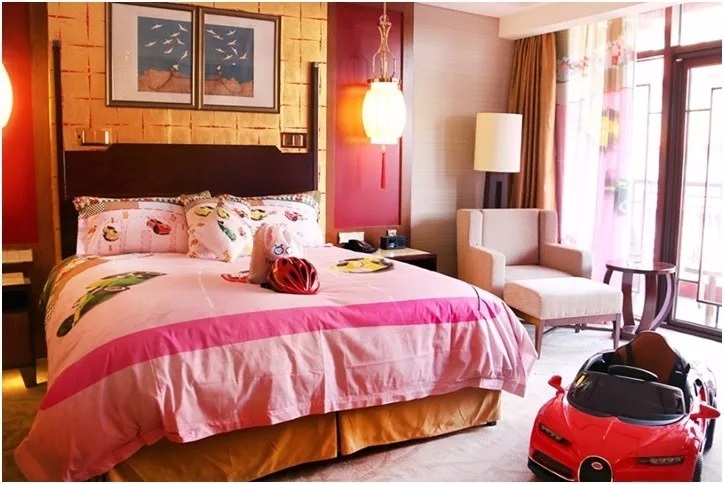 The themed rooms are decorated in different colors according to the preference of boys and girls. Including themed bedclothes, curtains, mini tent, painting kit, racing suit and wash kit. Aim to create a space full of fun and kid-friendly. 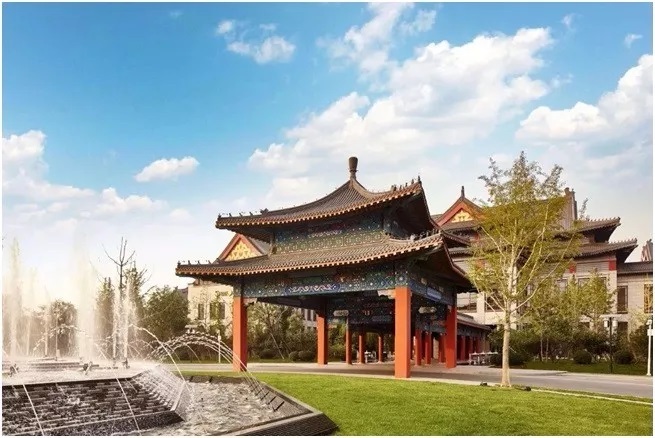 Hilton Tianjin Eco-City is ideally located in the very heart of Eco-City and just a short drive from many popular attractions and a host of shopping, dining and leisure opportunities. 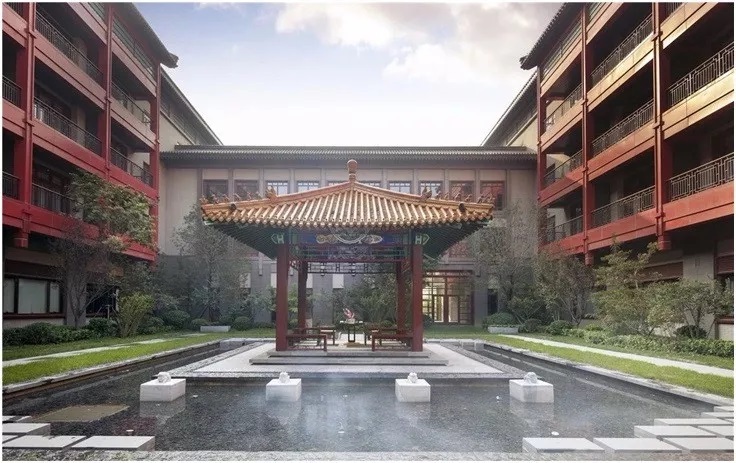 It epitomizes the fusion of traditional Chinese culture with the spirit of modern innovation and offers a tranquil escape from the bustling city. Choose from an array of room types, designed for comfort and convenience, and enhanced with scenic garden landscapes. 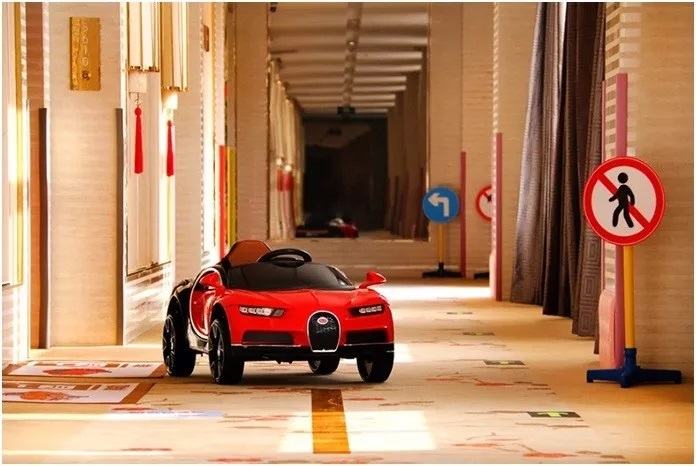 At Hilton Tianjin Eco-City, you can be sure to find a space that best suits your style. Choose from 4 different on-site dining options at our hotel. From Chinese cuisine to authentic Japanese flavors, buffets and drinks, you'll find something for every appetite. Start your day with a nutritious breakfast and experience authentic local foods for lunch and dinner. Meet up with friends for drinks in the Middle Lounge. Host a range of events from conferences to social gatherings at the hotel, featuring 2,700 sq. meters of flexible meeting and banquet facilities. Choose from 12 separate space including a pillar-free ballroom, boardroom and VIP reception room. Our professional event staff will create a flawless event. With the equipment of scientific and environmental protection and the service concept of leading hospitality, we will bring unique and superior hotel experience for guests. 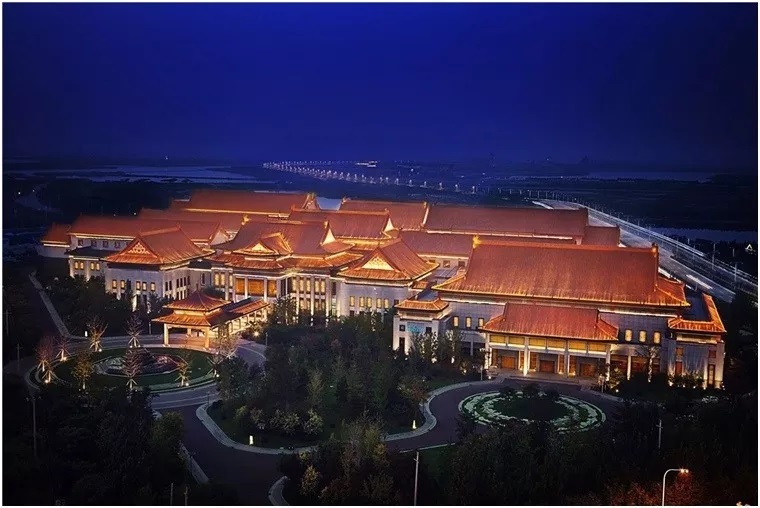 Hilton Tianjin Eco-City continues to support the development of tourism in Binhai New Area. It is committed to creating a childlike and interesting activity space for family travelers, as well as providing unforgettable experience for family members. 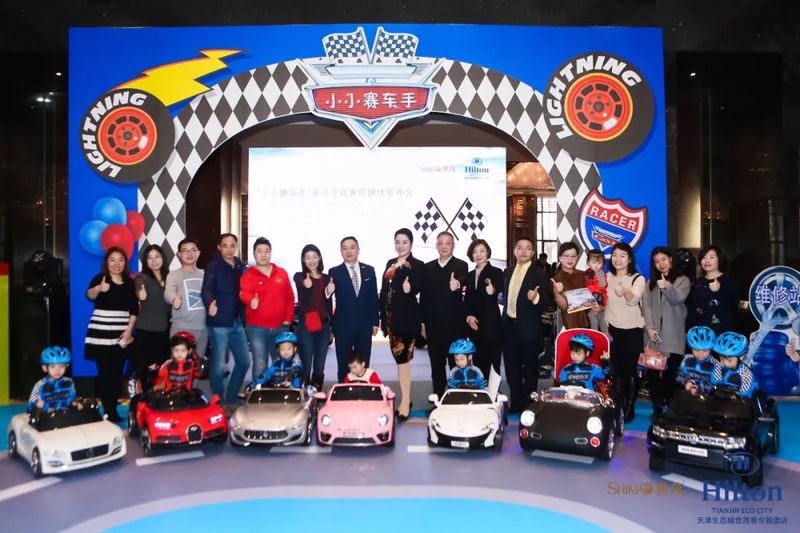 With the strong support of Shimao Hotel Management Co., Ltd the "Mini Racing Car" Theme Rooms Program was successfully launched. In the future, we will firmly rooted in the hospitality industry, with the attitude of leading hospitality, constantly improve the hotel to reach the standard of service, innovation of the definition of hotel stay experience, to fully meet customer needs, beyond the expectations of guests. Booking room from Fumubang, Ctrip or Lvmama.